Hello everyone! My theme for the challenge is "Shades of love"
H is for "Her story"
Letter H : Disaster strikes! Hail! Get out alive in La Yacata! We all need a giggle now and again and Amble Bay's the place to enjoy one! Today I have the key to the village hall! We're off to the Village Hall! Week two and so far we're all surviving. H is for Highland Cows. HAHAHHAHHHa hah a ha ha ha ha ha ha ha ha ha ha ha ha ha ha ha ha ha ha I'm here early or late DAMN its bedtime. 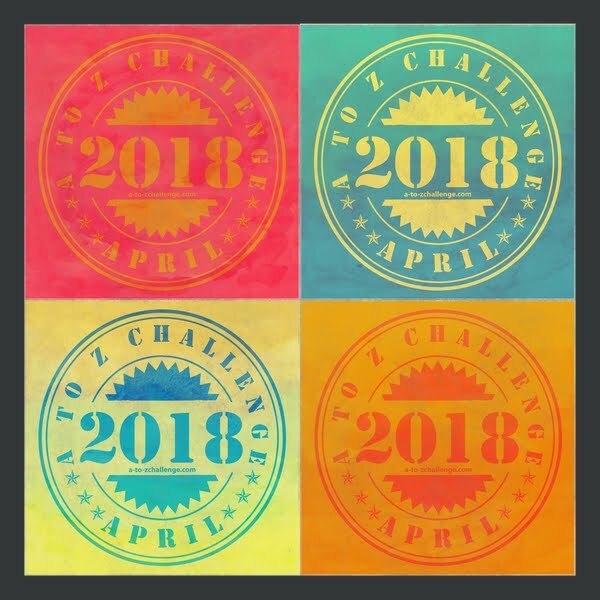 I'm cross stitching a Buffy the Vampire Slayer themed alphabet for the Challenge. H is for The Hose, the first only-on-Angel character to appear in the alphabet. H is for heartworm. My theme is strange feelings, possibly made up words to describe things we feel every day. Did you know that 98% of all matter in the Universe is either Hydrogen or Helium? H is for Hydrogen and Helium, pretty much everything in the Universe. I'll explain why that is and how we know. It involves 21 centimeters. My home here in Chicago has quite the history, so today H is for the History of My Home. If there is any heaven or hell, it's here on this Earth. Today’s topic: Hermit Crabs, Health, and Homeschooling. In "Fact or Fiction-Family Stories" I uncover some information about the Halls. A Plate of H and a side of poem. Some fairy tale tests are more well known than others. There is the Glass Slipper Test, the Princess and the Pea test... and then there is this. Happy 2nd week of #atozchallenge to all!! 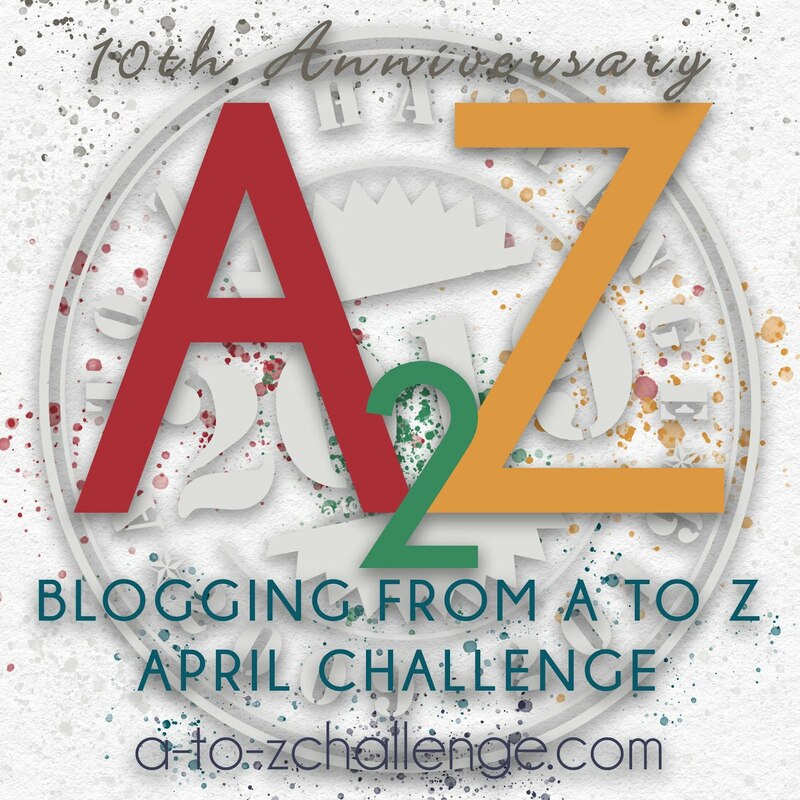 H for Harry Potter Characters that you can find in the Blogosphere! H for Talking It Out is about Holocaust Memorial Day. More specifically: "January 27 is Holocaust Remembrance Day. This year, the White House didn’t mention Jewish people. On Holocaust Remembrance Day. Jewish people. Holocaust Remembrance Day..."
Writing getting on your nerves? Plot holes sucking you down? Come blow off some steam and a have a laugh! Rocks that begin with 'H' to throw at heroes up at tree. It's your one way ticket to midnight, call it Heavy Metal today on Wolf of Words. Part of my mission this month to let you know about me. Morning: Dragon Diaries - H is for Harshada. H is for Heaven.. choosing to be there now. Please do check out ..
Are you ready to try again? Come on over and see if you can "Name That TV Show!" The thoughts of an average teenage boy in Harmonia. Good morning, hope you all had a great weekend. Here is my H post. At times, we feel so stuck in our life situations that we feel like giving up. Hope is what allows us to believe that things will change for better. People without hope are not just unhappy, they are depressed. My jazz clip for today (with the bonus of the short story I wrote whilst listening to it) is H for Have you met Miss Jones? I'm talking about Hay today! How are you dear A to Zers? A short post to say howdy and share a few pics:)How are you? H is for Horse The next chapter in my ongoing A to Z Detective story. 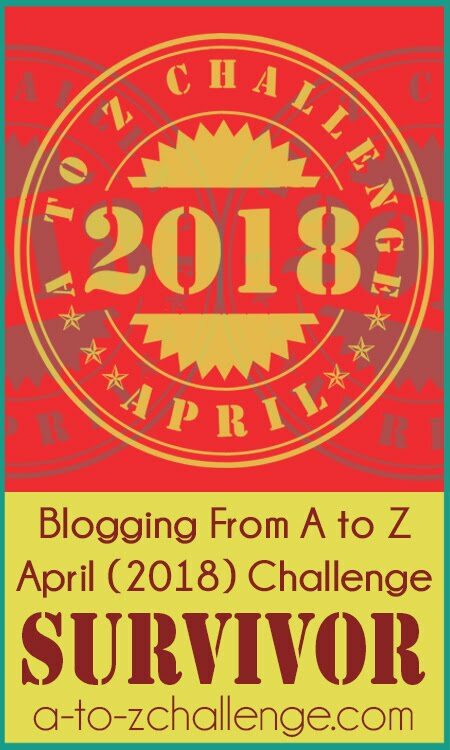 Hanging in there on the A - Z Challenge. 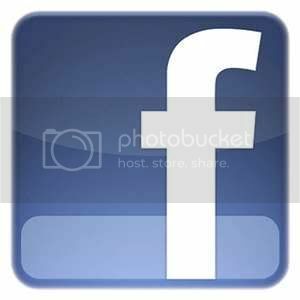 This is my first day of posting.. Will be doing two a day for the next week to catch up. Here's H is for Hazel. Today, as part of my Origin of the Fae series, we're looking at the Labyrinth that stretches beneath the surface of the planet. Letter H: Harper. How many things can you discover thanks to postcards? H is for Hot Dog in my LEGO themed post for the day! My theme this antagonists but since I write about parenting issues on Monday, I combined the themes into....H is for High School. Today, it's an Awww Monday post. Good morning! My theme is Unfinished Business, and my post today is about the perspective of being halfway there in raising kids. H is for High Dive. Good morning! H is for . . . Sometimes what might seem to be a way out of hell may lead you closer to it in a more firece way! Today's What if...? What if there were no fights in Hockey? Hockey - Just play the game! Hi guys! Hope you're all excited for a new week of blogging! I am Sneha from Life as a Potpourri and this is my second year into #AtoZChallenge and am talking about my hometown the Amazing Andamans And my 8th post is about the Heavenly Havelock Islands which is famous for the Asia's best beach, Radhanagar beach. Happy Salads at Traveling Spoons. Canadian History continues with Sir Frederick Haultain and the Province of... Buffalo? Theme: Writing prompt a day, great for story starts, story development, or as a warm up. Today MK French takes a look at the horror genre and reviews 3 horror novels at Girl Who Reads. H is for Helena, my 680th great-grandmother. Here is a link to my post for H from my blog Weekends in Maine. Thanks for visiting! H is for Highland Foods Maple Pepper | Maple makes everything taste better. H is for Houses of Hogwarts: looking at floor plans and talking about house characteristics! I was singing along (loudly) and almost forgot to post my link for today! So far, so good. I hope y'all are enjoying reading our fellow bloggers as much as I am. Today is H for "Hiking Green Mountain -- nonfiction"
Messed up a copy/paste...grr. How difficult is that? Try again! Post: H is for “Hunger Games” In which we discuss being shamed for liking genre fiction. Winemaking depends on a good Harvest! 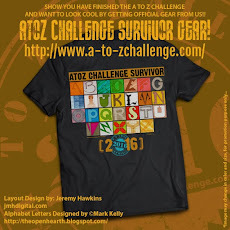 #AtoZChallenge with H! 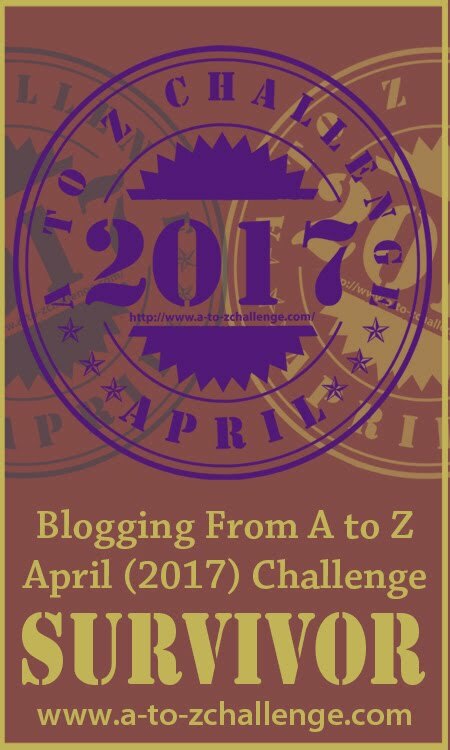 Click here for Chapter F of my A to Z Choose Your Own Adventure (AC)! Comment to vote for the next choice and come back tomorrow for the reveal of the next installment in the novel: Runaway! 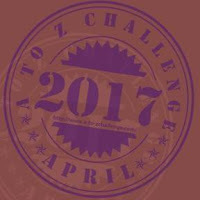 Today's #AtoZChallenge in China: How can you learn Chinese? Take a HSK test.